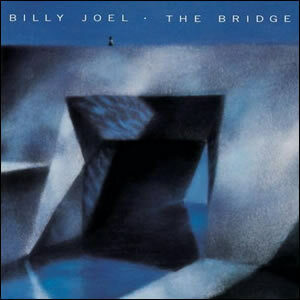 Billy Joel‘s 1986 studio album, The Bridge, represents a crossroads on many fronts. It is the seventh and final Billy Joel studio album to be produced by Phil Ramone. Ramone, starting with The Stranger in 1977, forged the sound during the most successful span of Joel’s career. It was also Joel’s first album during the 1980’s to not be focused on a single, overriding concept. 1980’s Glass Houses was punk/new wave, 1982’s The Nylon Curtain was social commentary, and 1983’s An Innocent Man was homage to musical styles and personalities of the past. The Bridge is very diverse, incorporating many styles as well as several guest musicians. On a final note, this album is first of Billy Joel’s “family-centric” releases that would wind down his career as a pop musician. The Bridge features vividly picturesque songs, each of which cross over well to other media. “Modern Woman” was featured in a Hollywood movie, “Big Man On Mulberry Street” was used in a television show, “This Is the Time” was commonly the backdrop during tributes and retirements, and “A Matter of Trust” was featured in one of the iconic music videos of the day. Even the lesser known songs on the album, such as “Temptation” and “Running On Ice” – sound like they would work well in the visual medium. After a bit of a hiatus from recording, Joel began work on the album in 1985. 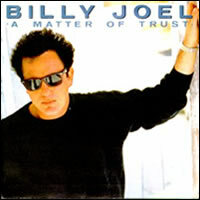 In the video for “A Matter of Trust”, Billy Joel is seen playing a Les Paul in this guitar-centric and entertaining hard rocker, which takes yet another departure from his traditional sound but was yet another hit. Joel is the absolute master of vocal melody making it all sound so natural and effortless, which plays a big part in being able to jump from genre to genre. “Big Man On Mulberry Street” goes in an almost completely opposite direction of the rock song. It is a Broadway-esque show tune with elements of big band and jazz. An extended version of the song was used on an episode bearing the same name on the hit television Moonlighting, starring Cybil Sheppard and Bruce Willis. Rounding out the album’s second side, “Temptation” is another excellent song which hearkens back to 1970s-era Billy Joel in style. “Code of Silence” may be the only song in Joel’s catalog where he uses a co-writer, the flamboyant yet talented Cyndi Lauper. “Getting Closer” is a song of hope born out of the ashes of cynicism and features the legendary Steve Winwood on Hammond organ. But the true legend on the album is Ray Charles. who performs a duet with Billy Joel on the song “Baby Grand”. The two originally got together when Charles found out that Joel had named his daughter Alexa Ray in honor of Ray Charles so Charles contacted him and suggested that they may want to work together, if they could find the “right song.” Joel considered Ray Charles one of his idols; “…as big of a pianist or as big of a star I could ever become, I could never be Ray Charles….” Joel got right to work, trying to compose a song in the style of Charles’ classic “Georgia on My Mind”, and wrote “Baby Grand” over the course of one night. Joel originally sang the song in his thick New York accent, but decided to do a Charles impression instead once he got comfortable working with him. The finished product is as much a tribute to Charles himself as it is to the instrument they both love. Although The Bridge was a bit weaker commercially than many of Joel’s previous albums, it is a solid album through and through and especially shines in comparison to the weak music scene in 1986.